Industrial plugs and sockets are made to be used in commercial settings and transfer voltage that is massively larger than anything a household can manage, but is the standard for most companies. The most popular, or at least the most often used kinds by nearly every industry are the 3 phase plug and socket models. 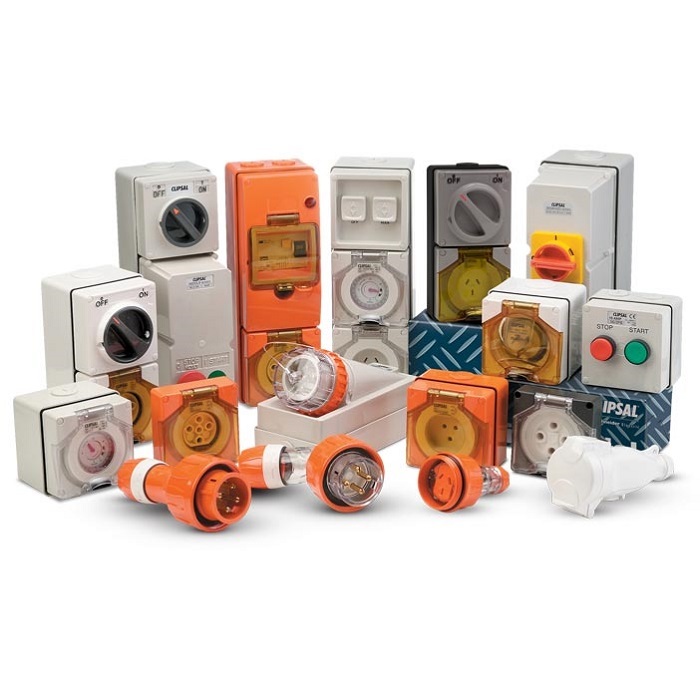 The 3 phase plug and socket sets, that most companies use, are specifically designed to provide a whole assortment of useful features that no other type could ever hope to match. They have features that mostly focus on keeping things as safe as possible for the employees that have to use them, maintain them, or simply be around them. One of the more useful one of these features are the bright distinct colours and markings that denote the specific function of the 3 phase plug and socket, and also catch the eye enough so that basically everyone can see them easily and know to tread carefully around them. The colour also has a different purpose in that it can also show what kind of voltage is running through the plugs, or what kind of machinery can be connected to which socket. Of course, there are many other safety features that have to be included as well, seeing as these items are oriented around conducting lethally high levels of electricity. They usually come with a waterproof cover or sleeve to minimize the risk of shortages from happening and an interlocking switch that can safely hold the line in place and prevent accidental disconnection. When inactive, they also have a protective cover that both keeps out dust and other materials, and makes them safer for personnel to handle without the risk of touching any potentially dangerous area even when they are disconnected. Since we are talking about industrial use, each of the 3 phase plug and sockets need to be made as durable as any other heavy machinery set for commercial use should be, or maybe even sturdier. They have very high heat resistance and are very adaptable when it comes to extreme temperatures in general. For when there is a need for them in industries that use strong chemicals, there are also plugs and sockets made out of plastic casings designed to withstand not only the chemicals themselves, but also any fumes that might be produced. Additionally, since they are made to hold lines that connect to commercial machinery and equipment, which are usually cumbersome and require a lot of energy, they themselves need to have a reliably strong design in order to be able to withstand the stress. What Makes Gel Deep Cycle Batteries Highly Suggested?